With the start of the new school year, Food $ense educators are out in force visiting classrooms in the Auburn, Highline, and Kent School Districts. 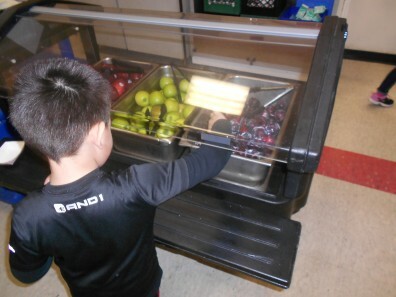 Food $ense classes are now taking place in six elementary schools: Daniel, Hazel Valley, Kent, Madrona, Meadow Ridge, and Seahurst. Southern Heights Elementary also put on another great Jog-a-thon this fall with support from Food $ense. We were happy to be a part of Taste Washington Day at Seahurst Elementary, which featured a lunch menu with several Washington-grown foods prepared by the awesome nutrition services staff. See below for some great pictures. Our educators love working with all the wonderful students and staff at these schools! Adult Food $ense education is also in full swing. Eating Smart, Being Active classes are currently being held for the Midway Elementary school community and Renton Housing Authority residents. We have also been busy working with a number of new Head Start and Early Childhood Education and Assistance Program partners. Stay tuned for more news on all the fun we’re having there! Anna Kitchin, Extension Coordinator at anna.kitchin@wsu.edu or (206) 263-1907. 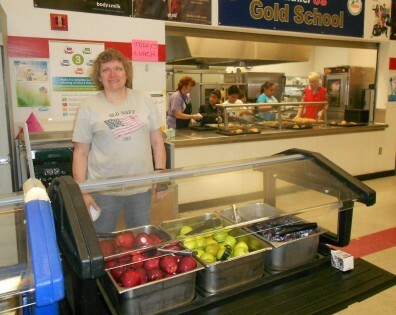 Nutrition services staff at Seahurst Elementary was excited to unveil their Washington-grown menu for Taste Washington Day! 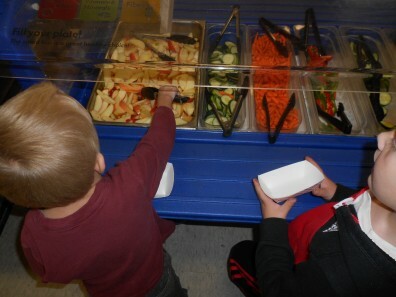 Students lined up to grab tasty fruits and vegetables from the salad bar. 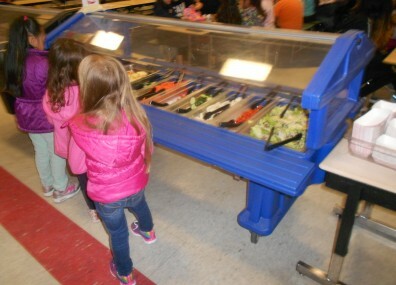 More salad bar fans at Seahurst.